Impressive. 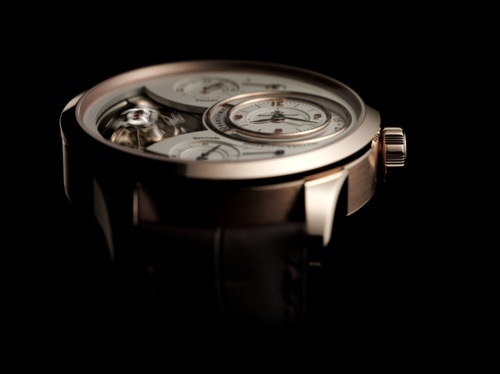 A superbly complicated mechanism in a watch that maintains an exquisite elegance. 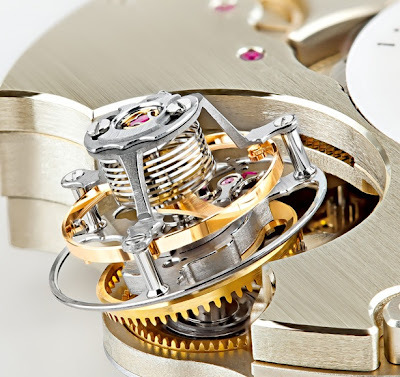 Jaeger-LeCoultre first presented the Duomètre line in 2007 introducing the Dual Wing concept: two watch mechanisms - one for the time and one for the complications - each with its own source of energy but synchronized by a single regulator. This avoids that the energy consumed by the complications can deteriorate the long-term rating of the watch. 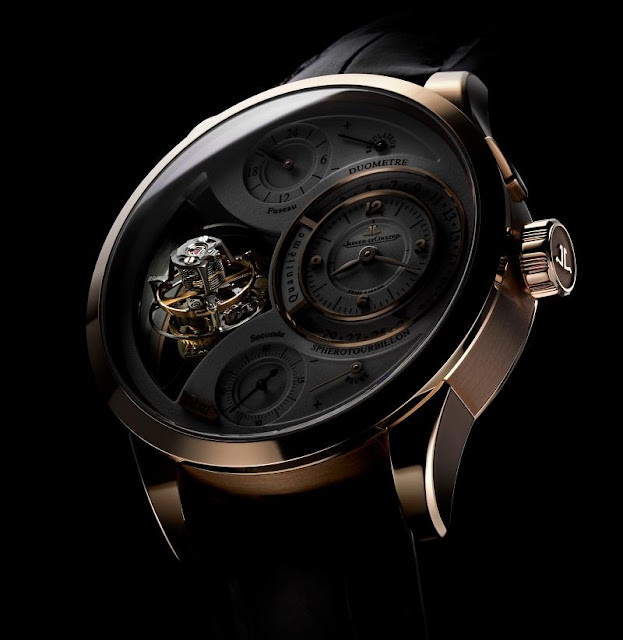 The new Duomètre Sphérotourbillon presented at SIHH 2012 by Jaeger-LeCoultre adds a multi-axis tourbillon machined from a single block of titanium. This technology delivers the highest precision as well as a spectacle that leaves you wordless. Just look at this video. 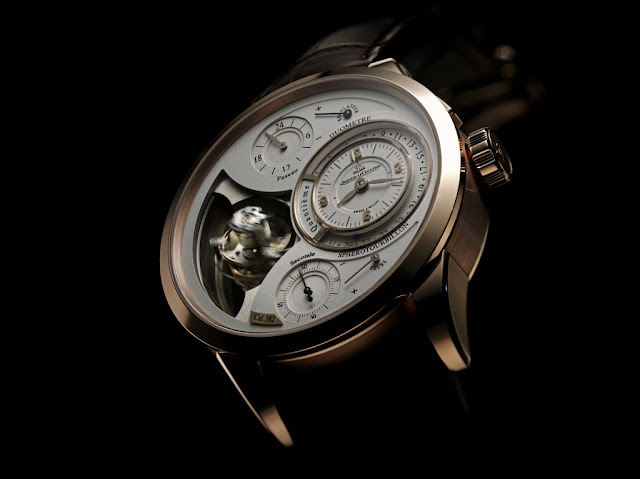 Functions: date, small seconds flyback, travel time, tourbillon. 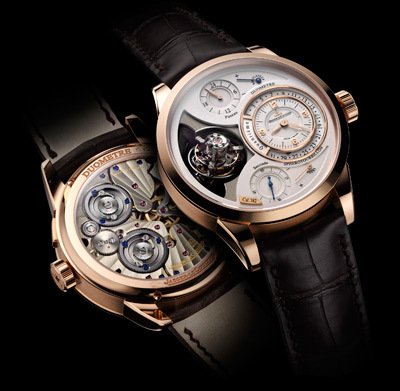 The new Duomètre Sphérotourbillon is available in rose gold and in a platinum Limited Edition of 75 pieces. Size: 42 mm. Thickness: 14,1 mm.